Going on a wild Safari Africa is one of the best things that can happen to you and is the main reason why growing number of people visit Africa. The most popular African safari destinations are the Southern and East Africa. There you can see the “Big five” (leopard, lion, buffalo, elephant and rhino), the annual migration of wildebeest etc. The other great thing to do in Africa is enjoy its beaches. If you are a sun lover, you will like the many beach resorts in North Africa. And if you are looking for some quiet time and wish to avoid crowds, the South African places are the best option for you. Africa has many wonderful mountains and incredible opportunities for the lovers of hiking. Kilimanjaro, Atlas mountains and the Kenya Mount are perfect hiking places. In case you do not want to hike and want to walk, the Zambia famous walking safaris, National Parks and wild coasts are the best place for you. Experience Africa with the Victoria Falls which are one the most extreme and exciting places for bungee jumping; or have amazing adventures at the Zambezi river and in the Sahara desert. 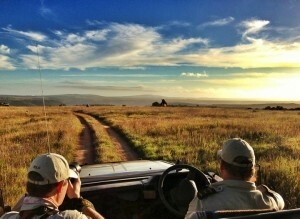 You just have to go on an African safari to feel and enjoy the beauty of Africa. The other exciting thing you can do is to feel the spirit and shop in the local markets and bazaars. This is the best way to learn habits, moods, smell, cultures, food and music of African people. With so many interesting places to visit, Africa is one of the most visited destinations worldwide. Once you visit Africa, you’ll want to visit it again and again and again – the feeling is incredible and the opportunity is life changing. Safari Cruise from Italy to Cape Town, sounds amazing?